Welcome to Day 2 of 5 Days of Poetry Teatime Inspiration. If you aren’t familiar with Brave Writer’s Poetry Teatime, start with Day 1 of this series. 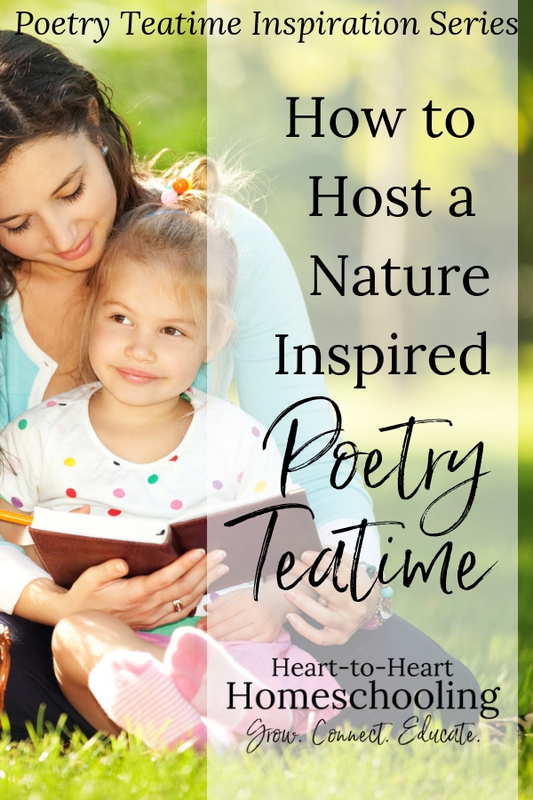 When you make Poetry Teatime a part of your homeschooling routine, you do more than foster an appreciation and love for poetry in your children from a young age. You also build your family relationships. Poetry Teatime forces you to slow down. To breathe. It invites you not just to delight in the language of poetry, but in conversation with one another too. In spending time together. Sometimes we feel the pressure of all the things we think we must do, fearing it will never be enough. But a busy, stressful homeschool schedule doesn’t provide the kind of environment kids learn best in. Think about your own life. Are you more motivated to do things you find stressful or the things you find joy in? Springtime is the perfect time to slow down. To enjoy one another. And a perfect way to do that is to take your Poetry Teatime outdoors. 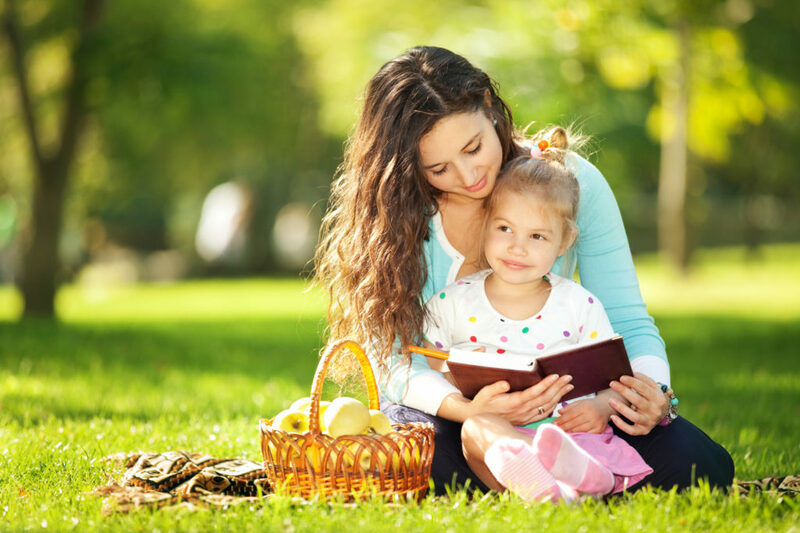 Since this teatime is all about nature, it seems only natural to choose snacks and drinks you might take on a picnic. And what is more back to nature than a “real food” snack. Lisa from 100 Days of Real Food has 85 Snack Ideas for Kids (And Adults!). If you haven’t ever combined tea and lemonade then you have to try an Arnold Palmer from Tyler Florence of The Food Network. Or you can do what we do and mix up store bought Simply Lemonade (my favorite brand) and sweet or unsweetened tea. Maybe you want to skip all the tea and just do lemonade. Whether you go for the yellow or pink powder, or make your own, lemonade is the perennial picnic drink. Or try a fun version like strawberry lemonade. Go on a picnic for your poetry teatime. As you can see, I’ve given you ideas for some of the perfect picnic foods already. Have it at a local zoo. Many children’s poetry collections will have poems about nature—plants, animals, weather, seasons. Although there are a variety of poems in the following collections, you will find plenty of ones for your Nature Poetry Teatime. And you may have to get a used copy, but Read-Aloud Poems for Young People is still one of my favorite collections. It includes a section called Nature’s People. Other collections include poems chosen for a theme. Remember though, Poetry Teatime doesn’t have to be elaborate. You can simply grab a blanket and sit outside enjoying your store bought lemonade and cookies for you Nature Poetry Teatime. The important thing is to sit, be together, and read some delightful poetry. I absolutely love Brave Writer. We have been introduced to so much because of it. My daughter really enjoys the poetry tea times! We haven’t gotten fancy as the last couple times our day has been so crazy. She really does enjoy reading poetry and I love hearing laugh and smile at some of the silly poems we read. Silly I mean they are funny.